• Eficient & Versatie Mixer. 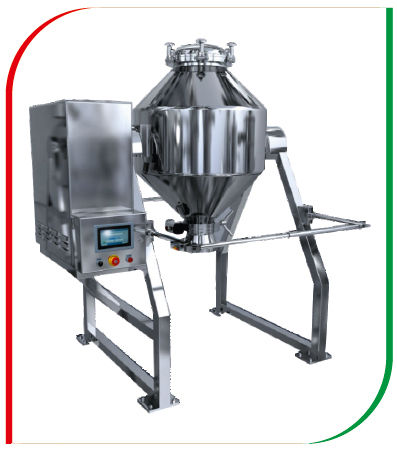 • Ideal For Mixing Powders & Homogenous Lubrication Of Granules. • S.S. Baffles Are Provided. • Safety Guards Provided With Limit Switch Interlocked To Motor. • Easr Charging Of Materials Through S.S Bins.